Strangulation by window blind cords kills on average one child per month. Do you ever worry if your window blinds are safe for kids to be around? 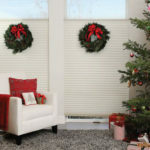 Today’s Window Fashions offers Alta window blinds to ensure your kids are in a safe environment. Alta offers a collection of custom window coverings of lasting quality and value. Alta is design simplified which means design driven by style and simplified systems driven by our customers! Their newest product video is featured with all the details! Traditional or modern, urban or cottage – we have a collection to match your home’s personality. Alta offers wood horizontal blinds, aluminum blinds, window shadings, shutters, vertical blinds and honeycomb vertical blinds, cellular shades, roller shades, and woven wood shades. The importance of cordless blinds and child safety is more timely than ever, although, it’s been a known problem for over 70 years. The American Academy of Pediatrics published a new study this past December calling for a mandatory safety standard to eliminate window blinds with cords. Although researchers note it is impossible to supervise children constantly and these events can happen quickly, many parents will agree with this study. A recent story on CBS News shares a horrifying tragedy of a 4-year-old Texas girl, Presley Eastburn, being strangled in window blind cords. This video shares the story and the new Voluntary Process with The Consumer Product Safety Commission calling for immediate action and for safety standards and manufacturers to process and address the issue. The Eastburn family were informed the blinds they ordered had child safety features they claimed did not work properly. They cannot be the only ones, as over the past 25 years, 16,827 injuries and 271 deaths have been reported from the same problem. 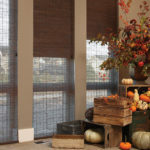 The change coming this year will result in the most significant change to the industry with a requirement that all blinds sold in stores or online must be cordless or have inaccessible cords. Alta window blinds from Today’s Window Fashions are known for their cordless solution. Each style of blinds has several control options, all cordless, to protect children at all times. The control options are cordless lift, cordless lift and lock, wand tilt or remote tilt motorization. We want to help you and your children! 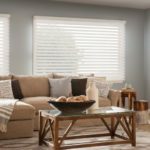 If you are interested in a free consultation or learning more about Alta cordless blinds, give us a call today at 763.205.5780. Visit our website to contact us today and learn more or check out our Showroom at 13416 Hanson Blvd NW, Andover MN, 55304. Woven Woods: The Perfect Shades for Fall! 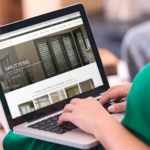 Introducing Today’s Window Fashions New Website! © 2017 Today’s Window Fashions. All Rights Reserved.